As the Associate of Human Resources, Ja’Qwan assists with employee lifecycle, engagement, and policies. He is a Chicago Scholars Alumni and is excited to help grow the organization that has supported him through college with his skills and experiences. Before joining Chicago Scholars, Ja’Qwan served as President of the Collegiate 100 Chicago Chapter for the 100 Black Men of Chicago. Ja’Qwan’s drive is to make sure that best practices for HR policies are being followed to help support a harmonious environment at Chicago Scholars. 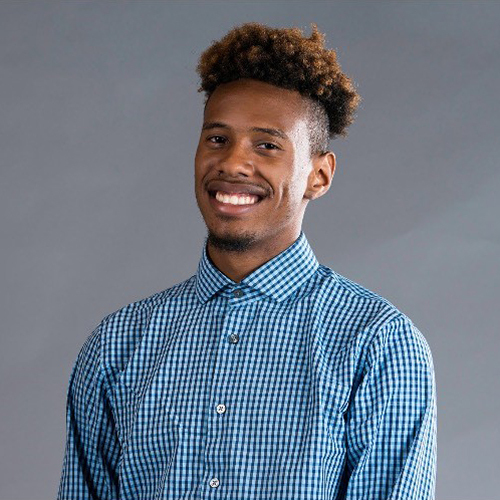 Ja'Qwan uses the skills he has developed to empower others to be leaders and recognize the value that they bring to the table.